Browse our inventory by body-style. Use Preferred Purchase Online to shop from home. Sometimes it’s just easier to give us a call. Here’s a few services you might be looking for. See what sets us apart as a Penske-operated dealership. We offer the newest models from Mercedes-Benz in a number of different trims and styles so you can test drive the vehicle that meets your aesthetic and lifestyle needs. Our certified pre-owned inventory offers you vehicles in nearly new condition that have undergone a thorough inspection. 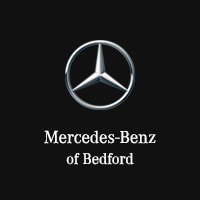 Every Mercedes-Benz Certified Pre-Owned Vehicle is covered by the standard MBCPO Limited Warranty- providing coverage for 1 year/unlimited miles, starting when the vehicle’s original 4 year/50,000 mile New Vehicle Limited Warranty expires.